Most programs allow you to pass a help flag which will print out basic usage. This is useful as a quick reference for how to use the program. Type / and then enter a keyword to see where that word appears. Press n to go to the next (and p to go to the previous) occurrence of that word. man pages are also organized by section. To read man page for a program/library in a specific section type man # <program or library> where # is the section number. If there is a collision in man-page naming (like open and open()) man will pick the page which appears in the lowest-value section. Some distros use info instead of man. To learn more about the info command, see Further Reading. 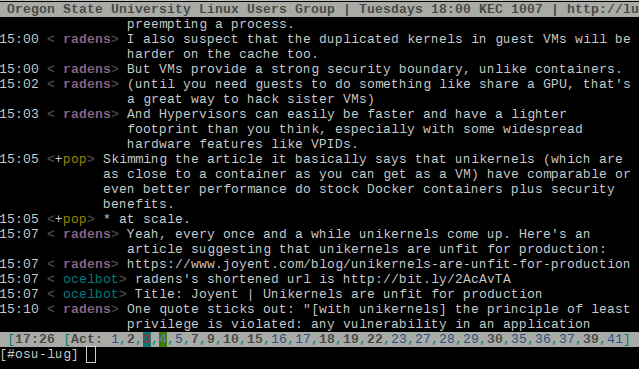 Projects also document themselves beyond the manpage. These can include tutorials, a README, and Q&A. If you need more information about a tool or a specific answer these docs will probably be your best bet. These docs may also answer any technical or contributing questions. These docs can be updated more frequently than local man pages so should also be referred to for bleeding-edge information. 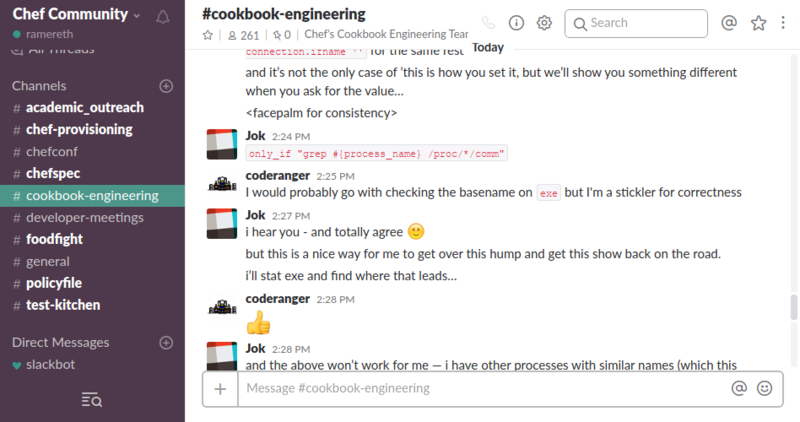 Communication is very important for DevOps engineers. Whether they are talking to their own team or working either external projects they use. Oregon State ran one of the first servers ever! 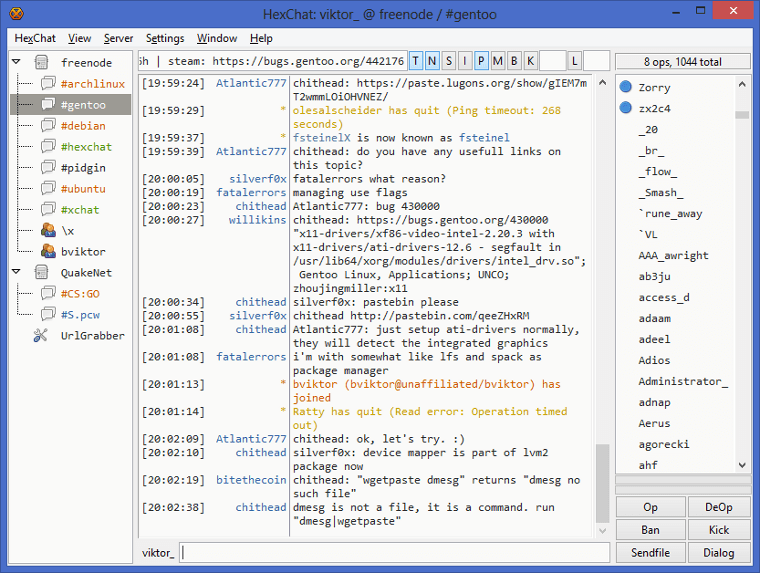 If you're not interested in using the command line there also an assortment of graphical IRC clients including Hexchat, MIRC, and KiwiIRC. Look those up if you're interested in them. There are also a variety of mobile clients for each platform that work well enough. You can also use a mobile SSH client and connect to your server in a pitch. Unfortunately IRC isn't very mobile friendly. /list Reports all the channels on a server. /topic Reports current channel topic. /names Reports nicks of users in channel. /join <channel> Join a new channel. /whois <nick> Learn about a person. /msg Directly message an individual. You get a hi-light when your name is said. Symbols (@, +) are not part of names, show status in channel. chanserv and nickserv are robots. /msg nickserv help to get nick help. /msg chanserv help to get channel help. hat '@' Denotes admin status in a channel. netsplit When the IRC servers lose connection with each other. Launched in 2013 and stands for "Searchable Log of All Conversation and Knowledge"
Ask yourself what should be happening? Ask yourself what is actually happening? Skim the manuals of each component. 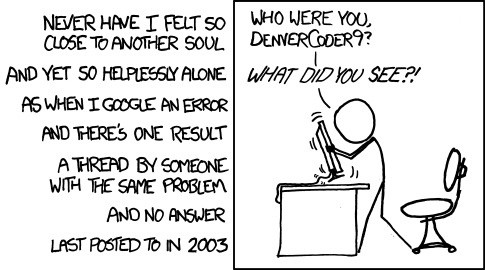 Identify a friend, mentor, or IRC/Slack channel who could help. When they're not busy, give them a quick synopsis of points 1 and 2, mentioning what possibilities you've ruled out by doing steps 3 and 4. About info: info is an alternative to man that some distros use instead.